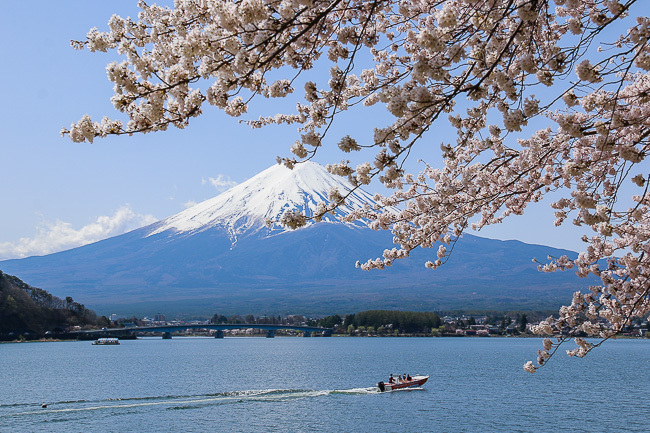 #mytravelokaescapade - Tokyo,Japan Here I Come~!!! Have you heard about Traveloka before? Traveloka is the platform where you can book your flight and accommodation to any of your holiday destination at the same time. You can even select both according to your budget. You can access Traveloka using their Phone Apps as well. 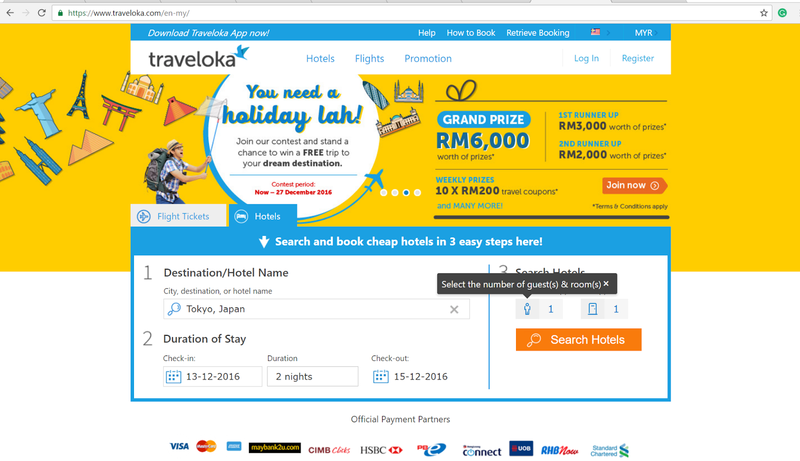 See, Traveloka makes your holiday become easier. Now, Traveloka even ask us , " WANT TO TRAVEL FOR FREE ? " . Seriously , for FREE ? This is one of the best opportunity offer by Traveloka. Tell me , who doesn't love to travel , right ? Sometimes, we need to have an escapade to any of our wishlist country. I love to travel because I like to see other countries culture, nature , taste their local foods ( halal one of course ), take a photo and lot more. If talking about weather , I really love Spring and Autumn . I love nature. 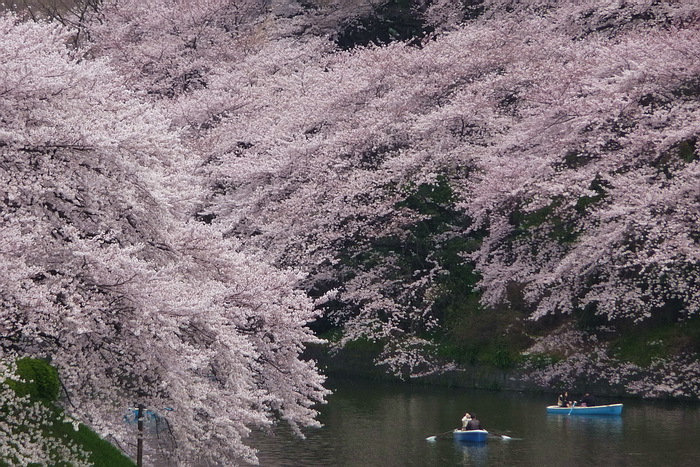 Why I choose Tokyo , Japan ? And , what I want to do when I'm in Japan ? 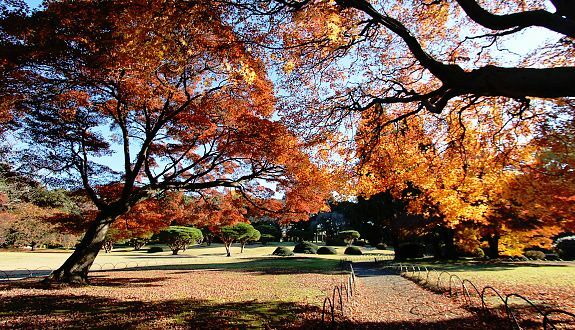 These park scenery is really beautiful, either in Spring or Autumn season. 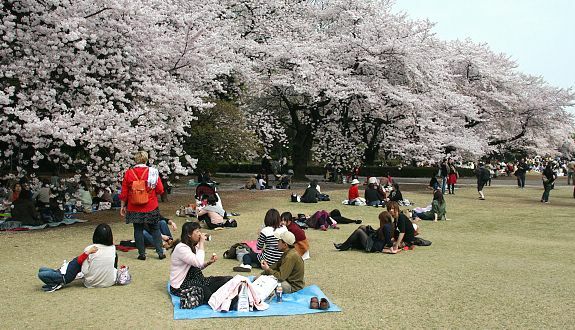 I wish to go for a picnic at these park with my husband. 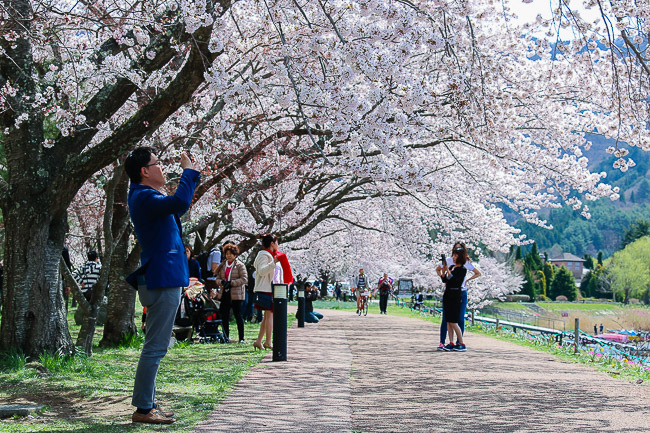 Strolling around the park and take a beautiful romantic couple photo with either cherry blossom or autumn scenery. Seriously I can imagine how beautiful it will be. 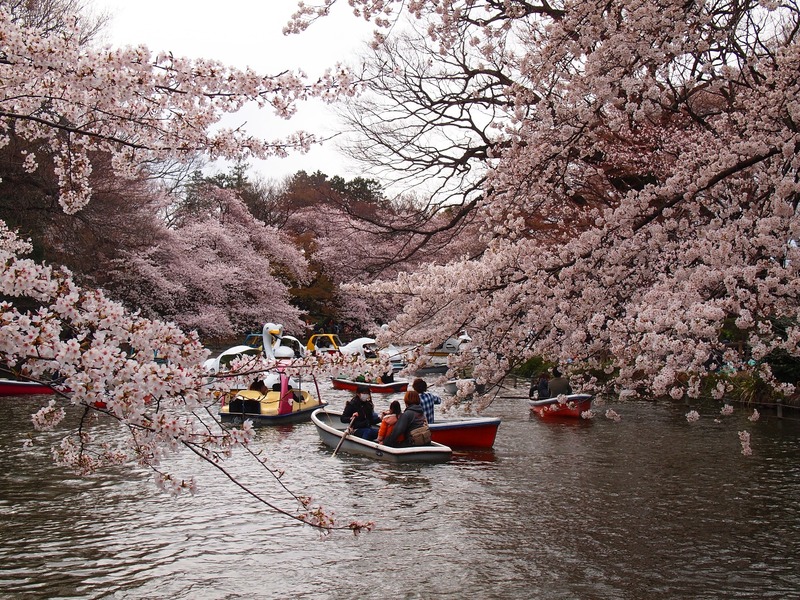 I want to see the different angle of the beautiful spring or autumn scenery on the boat. Everyone know about this famous Shinkansen the bullet train. It maximum speed is up to 320km/h. That's really fast. So, if I win this I won't miss the opportunity to take a ride on it . 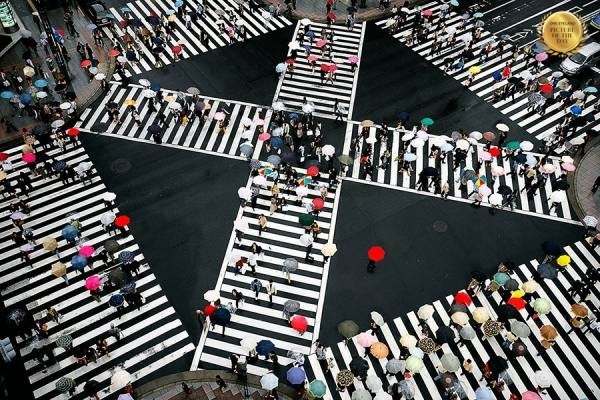 I really wanted to experience myself to cross and take a photo at the biggest and busiest crossing in the world. 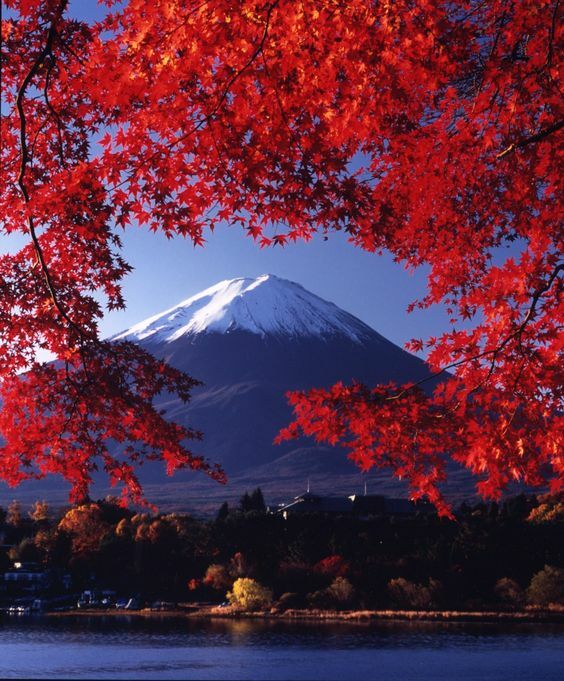 Mount Fuji is the highest mountain in Japan with 3776.24m. I really wanted to witness with my own eyes the beautiful Mount Fuji . 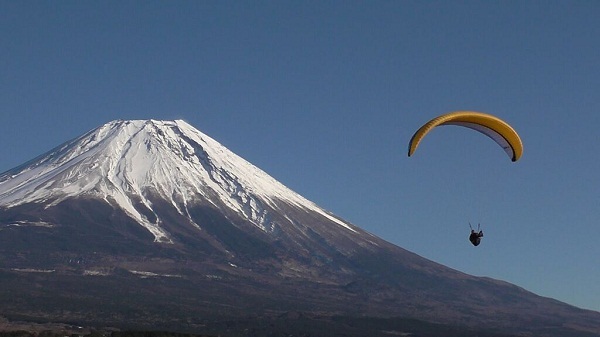 If I have a chance , I want either to climb up to Mount Fuji or ride on the paragliding . It will be fun and surely the view must be spectacular from above. 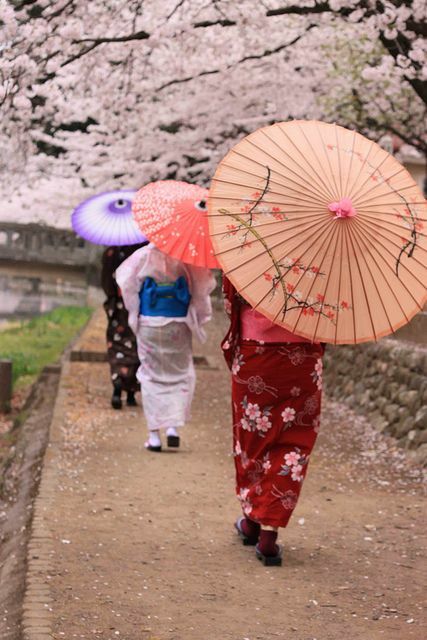 As we know kimono is the traditional outfit for Japanese. I love to see their kimono design as well as their material. I do have a kimono. My late daddy bought one for me . I really wish to wear it and strolling around Tokyo. I wanted my husband to wear kimono as well so that we can take a beautiful couple photo wearing kimono . Awww..Love it !!! 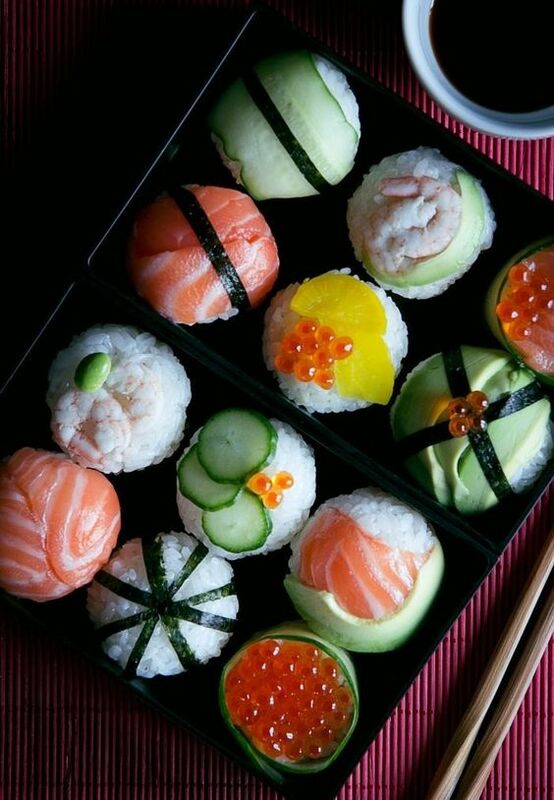 I love sushi much. Sashimi is one of my favourite too. So, if Traveloka granted my leave to Tokyo . I really wanted to taste the cute Sushi ( of course the halal one ). I even can imagine how delicious it could be. Yummy . So, that's the reason why I choose Japan as my escapade . And, I really hope Traveloka will grant my wish to win this contest as my 3rd wedding anniversary gift. Hihihi... thank you. Nice post, I liked it and enjoyed reading it, Thanks for sharing this valuable information. memang tmpt yg best utk travel..